In the first 6 months of my photoblogging I was so thrilled and excited to have so many followers that I decided I would share some of my fun crochet patterns. 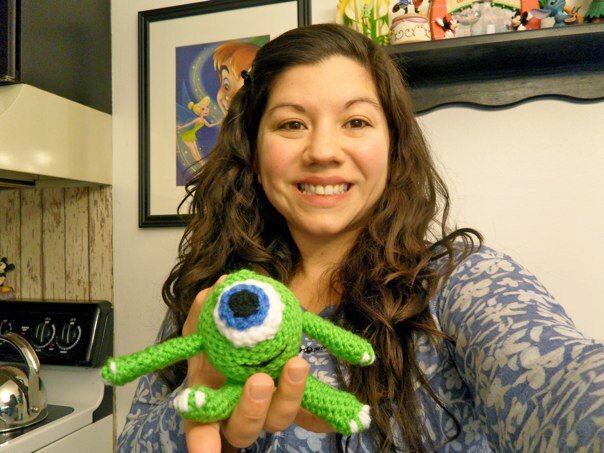 My first try at a Disney amigurumi was Mike from Monster's Inc. I had just heard about Monster University. I thought he was a good place to start as a beginner since he is an easy shape. Click the link to get our FREE copy of my Mike Pattern. 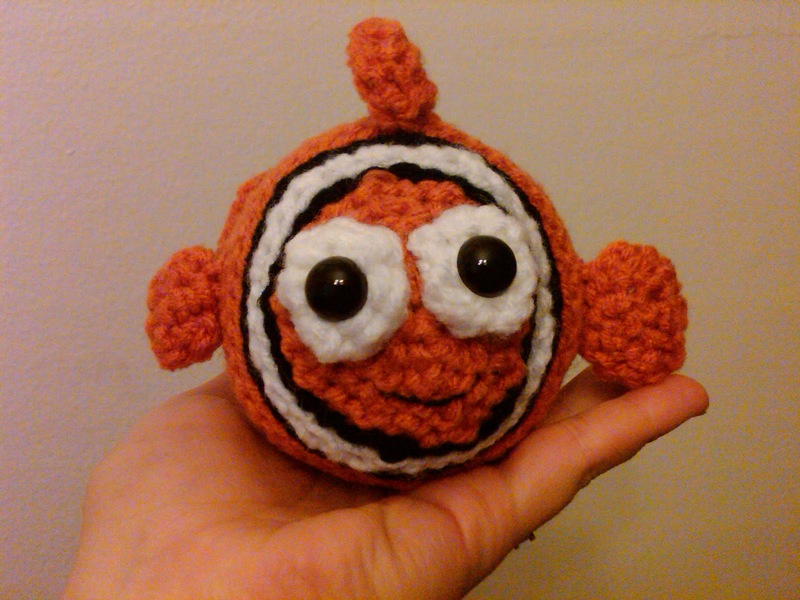 I made a Nemo plushie for one of my cousins. I spent a lot of time designing him so I thought it would be swimmingly great to share with other Disney fins, I mean fans! Click the link to get your FREE copy of my Nemo Pattern. 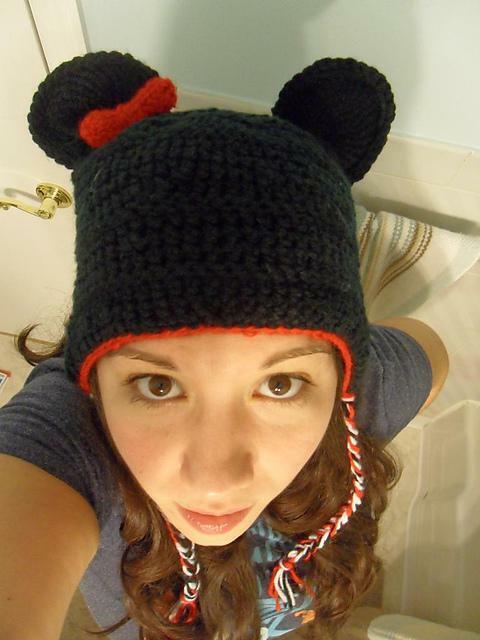 This fun Disney crochet pattern is not an amigurumi but a Minnie hat! I made this hat and it was sitting in my closet waiting to attend the Very Merry Christmas Party when Hurricane Sandy hit New York! I donated it to a Disney lover who needed some warmth and magic in 2011. I hope that little bit of magic helped them smile in even the slightest way. Click the link to get your FREE copy of my Mouse Ear Hat pattern. Last but certainly not least is everyone's favorite steed from Woody's Round up. Bullseye from the Toy Story trilogy! 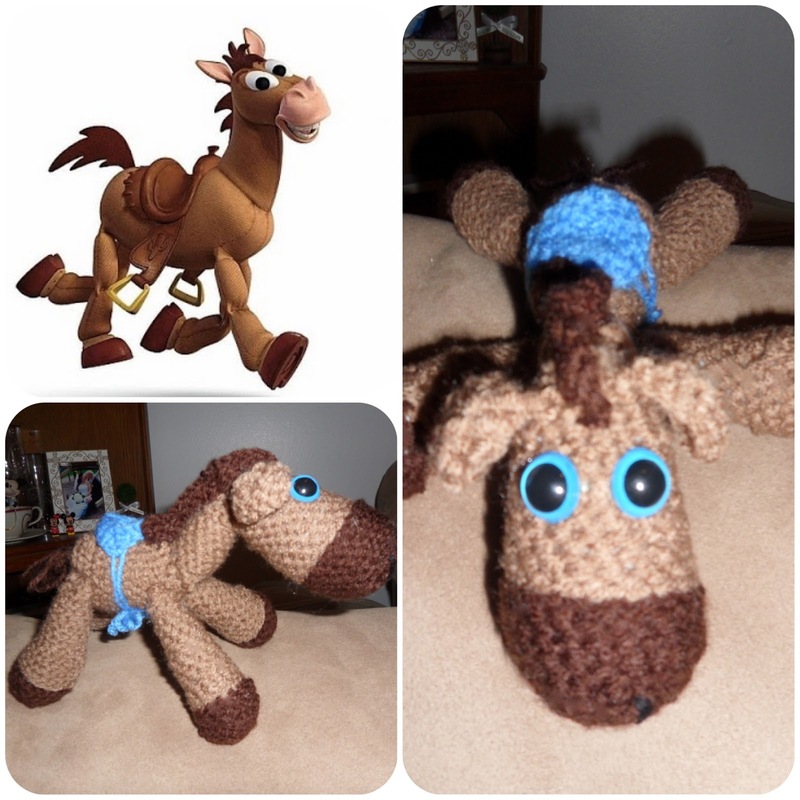 I made this as a generic horse for a friend's newborn baby but when he brought it home his daughter loved it and wouldn't stop calling it Bullseye! I went back to the drawing board and made her one that looked like him. Click the link to get your copy of my FREE Bullseye Pattern! I am really confused by your pattern for Nemo. The tail section, really. how do you go from a 4 sc round to 8 sc across? I just don't get it. I am sorry the wording was confusing... I create my little creatures on the fly and don't formally crochet so there may be a name for what I did I just don't know it. When you magic loop to close the circle you are adding one extra sc at the end of each loop so Row 1- has 4 stitches, Row 2- 5, Row 3- 6, Row 4- 7, and by Row 5 you are up to 8 stitches. Thats why you start working with 4 but end working with 8. When you switch from the circle to the chain you really are only stitching into 6 of the sc from the circle you created but in order to go from rounded to straight you have to sc once in the first loop you are creating the straight side from and then chain an extra sc at the end. Because of this, "Rounds" 7-14 would technically be switching to chains. Sorry if that was what caused the confusion. You may have to pay a few bucks but I have had good luck with patterns I have purchased there!